Officials at US Special Operations Command said they were testing rapid DNA scanners for use in sensitive overseas missions, citing DNA identification of Osama Bin Laden in the 2011 raid as a model for future targeted operations. Because the program is very new, “we’re saving it for the juicy missions,” said Michael S. Fitz, manager of the Sensitive Site Exploitation Special Reconnaissance, Surveillance & Exploitation program at SOCOM. “These things are downrange and we’re spending a year gathering data — on the utility, on how well is it working, the match rate, how well are the operators keeping them up and running,” Fitz told Defense One. Two devices being tested are the RapidHIT 200, from the California-based company IntegenX, and the DNAscan from the Massachusetts-based NetBIO. The devices weigh about 60 pounds (27kg) apiece, and are about the size of a photocopying machine. Each costs about $250,000. They only require a single operator and can turn out a result in 90 minutes. “In the past, when we captured DNA, the guy would put it in an envelope, send it back to the States and two or three weeks later, he would get a result,” said Fitz. While that may work for the judiciary, it was worthless for the military’s purpose of confirming targets. Fitz brought up the 2011 Bin Laden raid, where the terrorist mastermind was reportedly identified via DNA analysis. 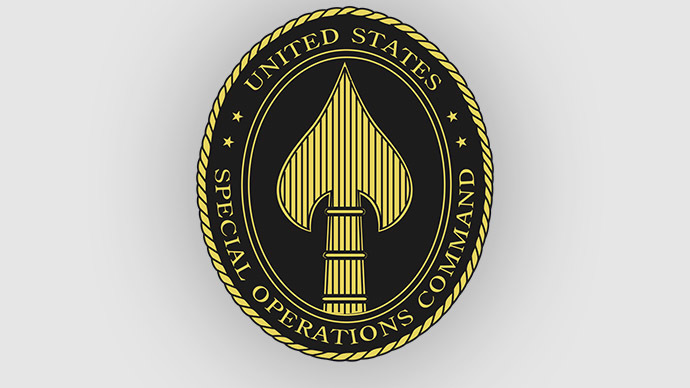 The idea behind the program is to extend the same treatment to future “terrorist suspects and insurgents” targeted by US special operations teams. According to the official, the ultimate goal is to have a DNA reader the size of a cell phone, rugged and battery powered, that could be used by soldiers to collect DNA during the mission, and connect to a database to verify the results. Such devices do not yet exist, however. The earliest a prototype might be available for testing is 2019, and that would require a major effort. Another problem is the lack of records in the database. Current databases only have records on US citizens. Very little DNA collection has been done in places like Afghanistan, Pakistan, Iraq and Syria, Fitz explained, adding that the military saw little use for the process at the time since getting DNA results was taking too long. He compared DNA scanners to currently used biometric technology.